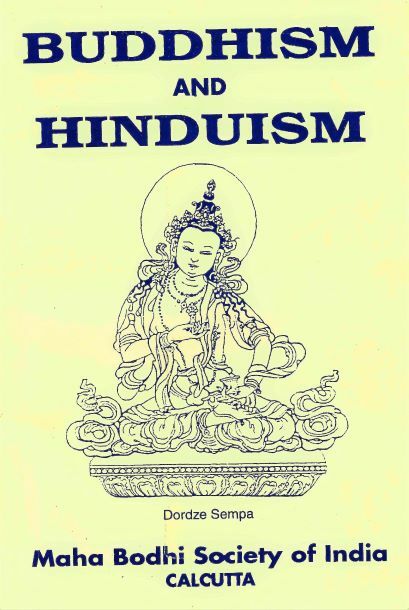 By Henry Steel Olcott (1832 - 1907) and Anagārika Dharmapāla (1864 - 1934), edited by Venerable Dr. D. Rewatha Thero, General Secretary of the Maha Bodhi Society of India. 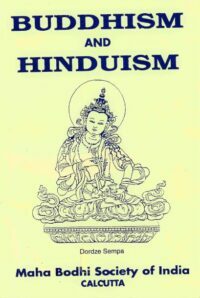 In the recent times, some have shown interest in uniting, coming together of the Buddhist and the Hindus. 'Truth' has got to be stated in different terms, different codes of conduct need to be laid down for beings standing on different rungs of the evolutionairy ladder. No great Teacher 'founded' any religion. The term 'religion' is no good a translation of 'Dharma'. It is the followers, who crystallized the sublime teachings into concepts, precepts and doctrines. Some went further to create dogmas and tried to impose them on others. Later, the priestcraft, as distinct from the true sannyasis, the true Bhikkhus, exploited the ignorant.
" For the first time in the history of the world, Buddha proclaimed a salvation, which each man could gain for himself and by himself in this world during this life, without the least help from personal God or Gods. He strongly inculcated the doctrine of self-reliance, of purity, of courtesy, of enlightenment of peace and of universal love. He strongly urged the necessity of knowledge, for without the wisdom the psychic insight could not be got in this life. Desire not to be born re-born again and again; nor for a cessation of existence in this one life; desire not for the enjoyment of sensuality. Lead a life of purity, seek only the fruits of the Fourfold Path of Holiness, which lead to Nirvana. These were the teachings of the Buddha. "